Best Yoga Apps for Beginners: The best yoga apps for muscle strengthening, meditation, and relaxation. Yoga is not only recognized as an incredible way to tone unwanted soft bits but also peace of Mind. It is with dedication and commitment. A total change in lifestyle and can contribute to a complete and total impulse in its general sense of welfare. The best thing about yoga is that you can do it anywhere. While some people may find comfort and consolation when joining a class. Others prefer to do so in the privacy of their own home. Where they can fit in with a hectic lifestyle or are comforted to know that their yoga mat only measures a few meters away in times of stress. So we must take advantage of the resources of technology knowing about the best yoga apps. Of course, join a yoga class and have the luxury of being led by an instructor. At home, you are your own boss, but whether you are a beginner, intermediate or expert. It is good to have some guidance along the way. Especially if you are looking to move towards the maximum capacity for concentration and mental focus. That’s where the best yoga apps are useful. Download one of these on your phone and you yourself have a pocket instructor that you can take with you literally anywhere. As with all applications, you can choose to pay for the premium version or you can choose not to. Although free apps often have many ads and limited features. Perfect poses and different selected practices anywhere and everywhere with this useful little application. Even if you are on a desert island in the middle of nowhere. You will still have access to your yoga tutorials because this application does not require any telephone signal to operate. There are 27 yoga sessions to choose from. Which vary in difficulty and duration so that you can fit into a session no matter how busy your schedule is. To ensure that you benefit fully from the position you are learning. There is a complete dictionary that guides you through the correct posture and alignment. If you are a beginner, intermediate or advanced yogi/yogi. You can track your progress to stay motivated and unlock new virtual environments as you improve. Get Pocket Yoga from iTunes or Google Play now! To clarify things, you do not have to be pregnant to download this yoga application. In fact, with 65 HD classes ready to go. This application is ideal for beginners, intermediates and experts alike. Classes are reduced to the times and focus of the session. So if you have 15 minutes to spare or an entire hour. You can choose to work on your relaxation, balance, etc., no matter how hectic your schedule is. Prenatal yoga is designed to help the body of pregnant mothers support the growth of their baby. While encouraging the baby to move further away from the rib cage to allow easier breathing. Don’t think that this for only Pregnant Women it is for all and mainly for Beginners. As with many things that come out for free, there is always a trap. If you do not subscribe, you will not have access to the full 280 postures and will not be able to create unlimited custom classes or benefit from the Rodney Lee experience. 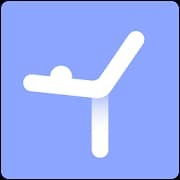 You can download Yoga Studio for iPhone and Android. With a strong focus on the use of yoga to get in shape, this is the perfect application to meet toning goals. If your goal is a toned tummy for when summer vacation arrives. Yoga is a great way to get rid of excess unwanted fat. Using a mix of yoga, HIIT, Pilates, and Vinyasa, Daily Yoga can offer intense training whether beginner, intermediate or expert. There are lesson plans dedicated to your ability and focus. Whether you’re looking for weight control, body sculpting, strength or more, and follow the step-by-step instructions to help even the most complex movements. If you are looking to use yoga to get fi. You can track the number of calories you have burned and how long you have worked to help you achieve your personal goals. 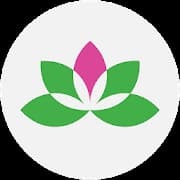 You can download Daily Yoga from the app stores for iPhone and Android. The only drawback is that the most important elements are only available in the subscription. Although you can disable the automatic renewal if you have a particularly busy month in which you do not think you are going to use it. Yoga is not only about toning and stretching, but it is a way to alleviate and improve your sense of well-being. This application aims to help you master the proper breathing techniques. so that you can experience a series of benefits that include better sleep, greater athletic resistance, lower blood pressure, relief of headaches and migraines and better stress management. This is extensive breathing courses from beginner to expert. So you can implement the correct techniques when practicing your favorite poses. While You does not have a focus on pose positions. This is undoubtedly a great accompaniment to help you improve your lifestyle in general. 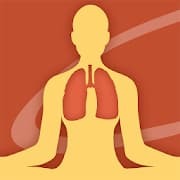 Download Universal Breathing Pranayama from Google Play or iTunes now. 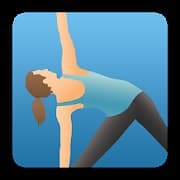 These are some of the best yoga apps to offer and to dedicate yourself to a healthier lifestyle. 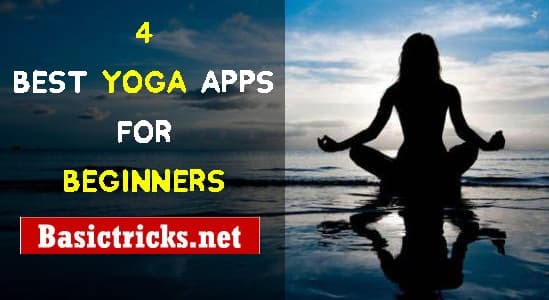 You can download the desired app from our selection of the best 4 Yoga apps for beginners. Just download the app on your mobile and enjoy practicing the methods shown in the apps. Feel free to ask your doubts in the comment section. We will help you out to solve your query. Enjoy using the apps and stay fit with your health. Like us and share the posts at Social Networks.